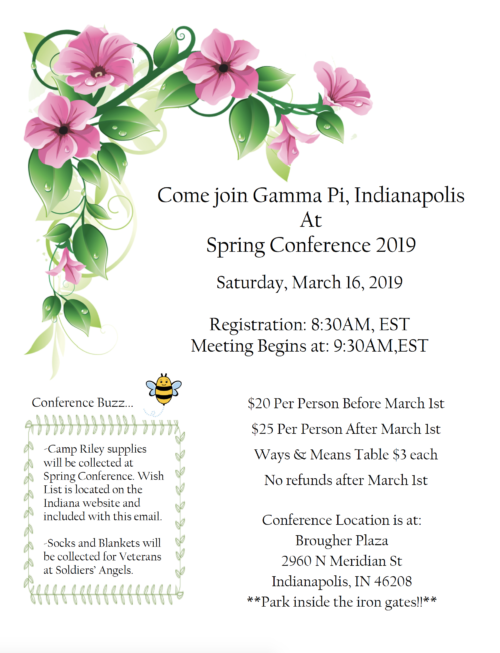 Spring Conference is hosted by Gamma Pi, Indianapolis and will be held at Brougher Plaza. Registration is $20 per person before March 1 and $25 per person after March 1. Ways & Means Tables are $3. Camp Riley supplies will be collected, as well as socks for Veterans at Soldiers’ Angels!